Would You Like to BulletProof YOUR Career Online? I’ve partnered with Hannah Morgan (careersherpa.net, @careersherpa) to produce our Bulletproofing Your Career Online workshop. We’ve presented Bulletproofing Your Career Online at regional and international conferences in 2012. We’re privileged to provide the keynote at STCPMC13, the annual Society for Technical Communication Philadelphia Metro Chapter’s Mid Atlantic Technical Communication Conference at the Giant Conference Center in Willow Grove, PA on Friday, March 8, 2013, followed up with the workshop the morning of Saturday, March 9, 2013. 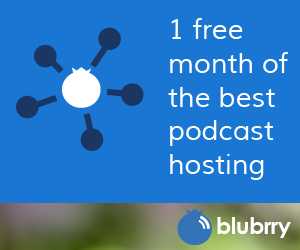 We’re interested in procuring other speaking engagements and workshop opportunities. 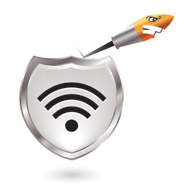 As you may have read in the Infosec Communicator blog, I’m passionate about being safe online. Hannah specializes in Online Reputation Management and is a career consultant. It’s been a little less than two weeks since the Society for Technical Communication Summit in Sacramento ended. Summit was an intensive four day immersion in the multifaceted profession of technical communications. I wanted to share what I found really important about the event, before the memories fade. I’ll start unpacking my takeaways here and in future posts. 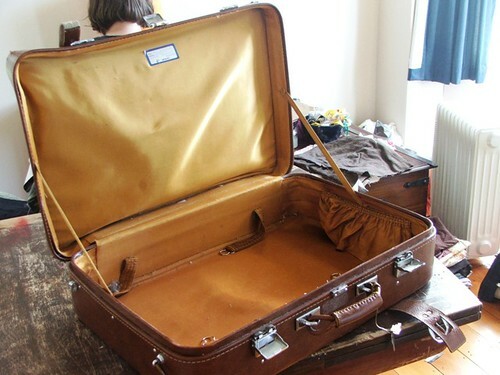 I hope you’ll take the opportunity to discuss what I’m unpacking and share what you unpacked when you got home by commenting on this post! The strength (and pride) of STC lies in its communities. Over the last few years there have been questions about the value that geographic chapters provide in an era when people are increasingly connected online. The Pacesetter Awards show that innovation comes from the grassroots level, whether from a geographic chapter or SIG. Some of the communities have done outstanding work in building and documenting solutions that can be applied across STC. For example, the Carolina chapter broke new ground in providing webinars for their geographically diverse membership and in partnering with Southeastern Michigan and Rochester to co-deliver online content. Relationships between communities bear fruit. STC recognized several chapters and SIGs with Community Achievement Awards and Pacesetter Awards. What I found interesting about the communities receiving the awards was that key leaders of these communities consulted with, counseled, mentored, and exchanged ideas with each other. These awards aren’t a competition. The recipients found ways to build each other up during the year. My conversations with community leaders during the year sparked much of what the Rochester chapter accomplished and helped us move forward in unanticipated ways. STC will continue to move forward as it provides value, although with an increasingly new base. Although I believe membership is down slightly from last year, STC is operating in the black and is continuing to add new members. (Personally, I believe the tide has turned.) The launch of key initiatives such as certification and MySTC should have a continuing impact as we move forward. Twitter played (and will continue to play) a key role at Summit. Twitter was used in two chief ways at Summit: to tweet and retweet session content and to facilitate face-to-face networking opportunities. The Twitter stream using the #stc11 hashtag provided an easy way to find out what was happening. There were more than 5000 tweets associated with the #stc11 hashtag in less than a week. That’s a lot of communication. There are some really committed and capable people in and moving into community leadership. I’m very impressed with the earnestness and ability of the people I had the pleasure of meeting and talking with during Leadership Day and afterwards. I’ve only gotten to know the leadership of Toronto, Philadelphia, Carolina, and Southeastern Michigan at all well. What I’m seeing in those chapters is encouraging and demonstrates a desire to serve their members and to strengthen STC as a whole. They’re not in it for their own glory. They’re in it to make us better. Leadership Day provides a foundation of knowledge and, more importantly, connections for new community leaders. I can’t overstress the importance of Leadership Day for the new and current leaders. Last year, I found the sessions explaining the intricacies of community leadership for new leaders absolutely critical to moving our chapter forward. This year I was able to participate in the progressions where community leaders shared their insights for success (and their struggles), providing sparks for new ideas and solutions for overcoming common, but vexing issues we face. Although I didn’t know it at the time, the connections I made at Leadership Day last year became my chief contacts in discussing issues and opportunities at the community level. MySTC can play a key role in strengthening community. MySTC provides a social networking platform on which members (and invitees) can share ideas, “friend” each other, create discussion and task groups, share photos and videos, and CONNECT with other members. We’re still figuring out how to use it. It’s not perfect, but it’s really great to have an easy way to connect with members outside and inside our current communities. The innovators among us will jump in and determine ways for us to work collaboratively. The vote on student membership rights at the business meeting was profound. Student members of STC were never enfranchised to vote in international elections, although their rights varied at the community level. The business meeting saw discussion and a vote on a proposed amendment to give them the vote. The proponents for student voting rights spoke passionately when presenting their arguments for passage of the student voting amendment. Opponents, although fewer, were articulate in their defense of the status quo. The amendment required a two-thirds vote of the members present. The amendment passed handily and the atmosphere in the room was charged. I did not expect the feeling of accomplishment we had when the amendment was approved. Certification may help the profession, especially by providing credentials for technical communicators who do not have degrees that relate clearly to the profession. I have degrees in anthropology, church history, and am ABD on my PhD in early modern European history. This is not obvious preparation for a career in technical communications. I was concerned about credentials so that I could get past initial screenings. Certification can provide credentials for those of us who have “non-standard” educational backgrounds. The content of the sessions at Summit was great. Isn’t it interesting that the content at Summit was the last thing I listed in my top ten? I enjoyed (and learned something in) almost all of the sessions I attended. However, for me the chief benefit of the conference was establishing and strengthening connections. These people are my techcomm tribe. They get it. Last year, I kicked off this blog by posting about Twitter Use at the #STC10 Summit in Dallas. 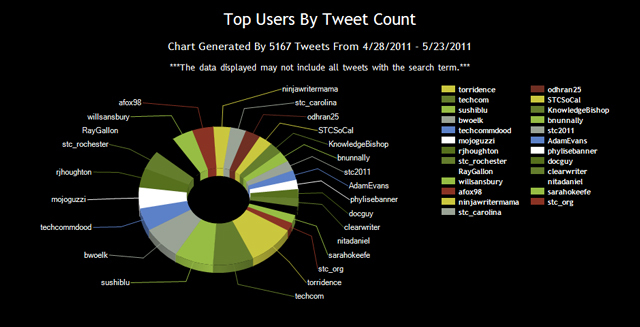 I thought it would be interesting to look at Twitter use at #STC11 as well. Here’s a Wordle of the tweets containing the hashtag #stc11 from 5/13 through 5/21/11. If you’re unfamiliar with Wordle, it produces a wordcloud where the frequency of word usage determines the size of the words in the graphic. Karen Mardahl*(@kmdk) began curating the #STC11 tweets in late April. The two graphics and lists below are taken from her archive. I’m not sure if there’s any correlation, but “karaoke” also appeared 14 times. The last two years have seen almost equal occurrences of beer and karaoke. Coincidence? I don’t think so! Just like last year, Twitter provided a sense of community and a “conference within a conference.” Most tweets were positive, implying that many of the Twitter users enjoyed the conference. I spent much of the conference meeting F2F with Tweeps gained from #stc10. If you’re not using Twitter at conference, I urge you to do so. You’ll find that it will create a new sense of comraderie with other Tweeters, and besides, that’s where all of the really cool STC people hang out! I’ve curated the tweets into a 341-page MSWord document. This “raw” data is available upon request. What are your thoughts and observations? Vanessa Wilburn put together a more detailed analysis of the Twitter usage at #STC10. Her work focuses on the subject matter of the tweets. She found that after removing the “chitchat,” the twitter streams paralleled the key topics of the conference and that many of the tweets relayed content from or observations about specific sessions.